Canine athletes may benefit greatly from Canine Chiropractic care. 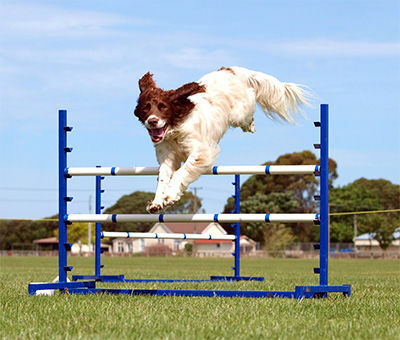 Canine athletes are often repeatedly doing activities that are demanding and outside of the range of those experienced by pet dogs. These activities may put considerable stress on the canine athlete’s spine and musculoskeletal (MSK) system with resulting biomechanical joint and muscle dysfunction. The implications of such joint and muscle dysfunction may have short and long term implications for the dog’s health and performance. So while there may be a number of mental and physical benefits for these competitive Canines, the associated elevated demands and musculoskeletal stresses may be cumulative leading to injuries and may contribute or complicate spinal disc and joint degenerative problems. Many owners of athletic & performance dogs put a huge and commendable amount of time, passion and resources into training and travelling to events. However if vigorous and repetitive training is not ‘balanced out’ or supported with the regular spinal & musculoskeletal care then there may be an elevated chance of spinal and musculoskeletal injuries and or over reduced performance. This is a common scenario often seen with human & equine athletes. Also many of Athletic dogs are close companions and valued members of the family. So it is important to look after one of their key assets; their spine and other areas of their musculoskeletal system. Regular Canine Chiropractic care for Athletic problems may pay off, not only in improved performance of the dog and reduced injuries but it may also contribute positively to their well-being, quality of life, happiness and longevity in their athletic field. 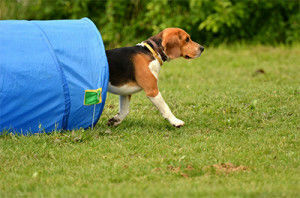 Helping Canine Athletes perform at their best ! !